On Tuesday, Syrian Foreign Minister Walid Muallem paid a surprise visit to Oman where he praised Muscat for taking “supportive positions towards Syria at various Arab and international forums.” Ever since the Syrian civil war erupted in March 2011, Oman remains one of the few Arab states to maintain ties with Damascus. While Oman’s foreign policy doctrine centers on maintaining friendly relations with all of its neighbors –which is based on no-interference – Muscat also enjoys pragmatic relations with Iran and Israel, and the Syrian government. In October of 2015, Oman briefly entered the frontlines of diplomatic efforts in Syria. Sultan Qaboos al Said dispatched his close aide and Minister responsible for Foreign Affairs, Yusuf bin Alawi, to Damascus to convey a message from then US Secretary of State John Kerry to Syrian President Bashar al-Assad. Alawi and Kerry had met the month before on the sidelines of the United Nations General Assembly in New York to discuss the Obama-administration’s regional diplomatic initiatives, including on Syria. Building on Alawi’s visit to Damascus, Russian Foreign Minister Sergei Lavrov traveled to Muscat in early February 2016 to emphasize what a Foreign Ministry spokeswoman called “the need for a speedy political and diplomatic settlement of current conflicts in the region.” The pragmatic relations throughout the region coupled with the historical role of mediation has set the stage for the Muallem-Alawi meeting on Tuesday. The timing of the Muallem visit to Muscat is significant in light of an increasingly unpredictable geopolitical environment with mounting tensions between Washington and Tehran and between Riyadh and Tehran. Complicating the already complex regional dynamics coupled with uncertainty pertaining to US President Donald Trump’s Mideast agenda is the collapse of the US-Russian relationship over Moscow’s alleged role in attempting to kill a former spy and his daughter in the United Kingdom. These dynamics will make it increasingly difficult for Washington to find common ground with Moscow over how to proceed with Syria as the civil war is slowly winding down and President Bashar Al-Assad is consolidating his power in the process. 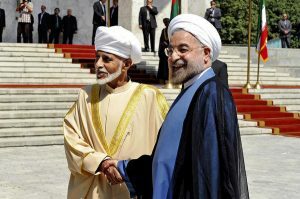 Over his 47 years in power, Qaboos has established a successful track-record of facilitating diplomatic engagement between Washington and Tehran, which includes helping the Obama-administration with carrying out preliminary talks pertaining to Iran’s controversial nuclear program which in turn led to the interim agreement of 2013. That agreement precedes the Joint Comprehensive Plan of Action (JCPOA), which was reached in 2015. Oman’s unique relationship with Iran can partially be explained by geography, as the two countries share the strategic Strait of Hormuz through which an estimated 35 percent of all crude oil carried by ship passes annually. In addition to that, the fact that all navigational sea-lanes within the strait lie in Oman’s territorial waters help explain why Muscat is committed to working with Tehran to ensure that the waterway remains open. Geography aside, the two countries also share a unique history as the Shah of Iran, Mohammad Reza Pahlavi, supported Qaboos’s bloodless palace coup in 1970. The Shah also came to Oman’s rescue by dispatching 4,000 to quell the Dhofar insurgency 1962-1975. Following the Islamic Revolution of 1979, Qaboos maintained cordial relations with the new Iranian regime, though the close relationship was lost. Oman’s Royal Office, seat of the state’s intelligence services, has since kept a close eye on Iranian activities, and it is far from clear to what extent Muscat trusts the Islamic Republic and its policies. At the same time, Oman remains a trusted neighbor of Saudi Arabia and maintains good relations with all of its fellow Gulf Cooperation Council (GCC) allies. It is evident that Saudi-Iranian relations are hitting a boiling point, especially with the recent string of missile attacks targeting Saudi Arabia by Yemen’s Houthi militia. The timing of the missile attacks is also significant given that it was only a week prior that Trump hosted Saudi Crown Prince and de-facto ruler Muhammad Bin Salman (MbS), at the White House. The significance of the Trump-MbS meeting was not only to seek Saudi input on the status of the JCPOA – while addressing its deficiencies which primarily center on sunset clauses – but their discussions were tied to Trump’s upcoming quarterly deadline to assess whether Tehran is complying with JCPOA. It is widely expected that Trump’s newly nominated Secretary of State, Mike Pompeo, will put the JCPOA issue at the very top of his agenda. The subsequent nomination of Bolton as National Security Advisor – a well-known critic of the JCPOA – only underscores that US-Iran tensions are expected to increase further, at least in the immediate future. For some observers, the Pompeo-Bolton nominations signaled the Trump-administration’s decision to accelerate pressure on the ongoing diplomatic process between Washington and its European partners to the JCPOA (France, Germany and the UK) on issues pertaining to the so-called sunset clauses of the agreement and Iran’s Intercontinental Ballistic Missile. Towards that end, US Secretary of Defense James Mattis traveled to Oman on March 13 for talks with Sultan Qaboos. In Muscat, Mattis discussed how to best achieve a resolution to Yemen’s civil war. They also discussed Iran and Oman’s contribution to regional security efforts by playing a key role in GCC counterterrorism efforts – namely to prevent the smuggling of missiles to Yemen’s Houthi rebels – and ensuring freedom of navigation in the Strait of Hormuz. Following the Mattis-Qaboos meeting, Alawi traveled on March 18 to Tehran for talks with Iranian President Hassan Rouhani. Given that Oman is the only GCC country to enjoy a pragmatic relationship with Iran coupled with its own contribution to facilitating the diplomatic process (which eventually led to the JCPOA), it is plausible that Alawi carried a message from Mattis to the Iranian leadership on issues pertaining to the JCPOA as well as on the conflict in Yemen. Oman remains a trusted friend and partner of Saudi Arabia, which is why it is actively seeking to accelerate Yemen’s embattled peace process with the support of Riyadh. It is also understood that movement on the Saudi-Houthi front could help reduce Saudi-Iranian tensions, as well as US-Iranian tensions. The timing of the Alawi meeting with Rouhani was also significant given that it took place only one day before the Trump-MbS meeting at the White House. Mattis, however, is not the only Trump-administration official to enjoy a good relationship with Qaboos. In June of last year, then CIA Director Pompeo paid Qaboos a visit to discuss Iran and Yemen. Due to the lingering uncertainty pertaining to the future of the JCPOA, it is plausible that the Pompeo-Qaboos relationship could come in handy. The Omani monarch could once again play a role as a go-between Washington and Tehran as Pompeo prepares to council Trump on issues pertaining to the JCPOA. A logical next step building on the Mattis-Qaboos and Alawi-Rouhani meetings would be for a Alawi-Pompeo meeting in Washington. All considered, it is plausible that Oman may be triangulating between Washington, Moscow and Tehran by carrying messages between the various parties to help unwind Syria’s civil war. In the process, Oman would help reduce global tensions by keeping the various parties engaged on regional issues such as Syria and Yemen while facilitating dialogue between Washington and Tehran on the JCPOA. 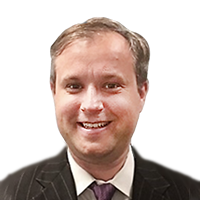 Sigurd Neubauer is a Non-Resident Fellow at Gulf International Forum and a Washington, DC-based columnist. ​Follow him on Twitter @SigiMideast.